"We had called a big name fence company to quote our fence, however before we committed I Googled "Top rated fence companies in Gwinnett County" and Better Decks and Fences was #1 in the ratings. After reading the reviews we called for a quote. Mike came out and beat our original quote, plus we felt very comfortable with Mike and trusted what he told us. Our fence was installed on Tuesday and is absolutely beautiful. 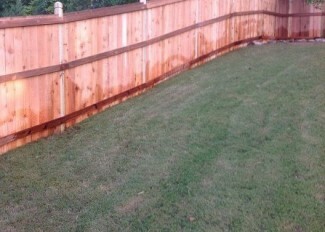 We built the fence with cedar and the crew worked extremely hard, even in the rain, and completed the job in 1 day. I would definitely recommend Better Decks and Fences to anyone installing a fence. Totally Happy!!!" "Couldn't say enough great things about this company. We had our decks done by another company and WISHED we would have used Better Decks and Fences!! They fenced our huge backyard PERFECTLY!!! Over 650 feet of fencing was done in about 3 days. First day was taking down our old fence 2nd day was posts 3rd was finishing. It looks perfect!! Not rushed, the workers were exceptionally nice, when they said they'd be at your house working they would, no trash was left in the yard... I mean our whole experience was perfect. Love this company. Highly recommended! !!" 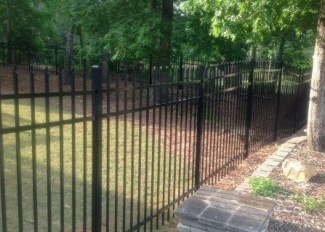 "Mike Thomas runs the best fence company in the Atlanta area. They came and did a quick site survey and quoted me a price that was extremely competitive. They took care of buying materials, installing the fence and making sure everything was cleaned up before they left. I would recommend anyone to Better Decks & Fences for their fence needs." "Our experience with Better Decks & Fences was completely positive. They were very flexible on scheduling and understood our needs. The quality of the deck & stairs we had done is definitely one of the best I have seen. We feel very safe with their sturdy craftsmanship and their professionalism was second to none. I will definitely engage with this great company as we complete other projects"
"I called Better Decks & Fences for a 3rd opinion on having a privacy fence around my yard. 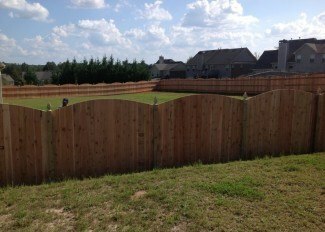 I was about to commit with a BIG FENCE COMPANY in the Atlanta area but something didn't feel right and prices didn't add up. So I called these guys and I was immediately put in touch with the owner Mike, who was Awesome! He came to my residence that same day within 2 hours notice. Provided me with the BEST PRICE out of all the company's, Beat my expectations on how fast it was installed 470+ Linear feet in 2 days, And it looked better than I imagined it would. Mike Communicated with me from start to finish and was able to communicate with me while i was at work and couldn't be there to draw anything out for him.Totally Transparent Process!!! A+ in my book." "My wife and I cannot say enough nice things about Mike, his crew, and the work they did. They were professional from day one and got the job done in a most timely mannor. The price was very competitive. They gave us several references in our area to go and see some of their work. We had 650' of old fence taken down and removed on day one, posts for the new fence set on day two, and our beautiful new fence installed on day three. They were constantly cleaning up any material left over. They were on-time all of the time and ALWAYS did exactly what they said they were going to do. 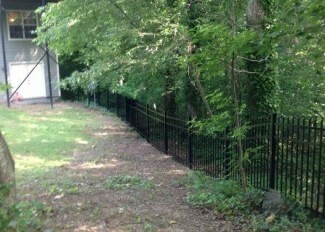 We would HIGHLY recommend this company for any fence need you may have." 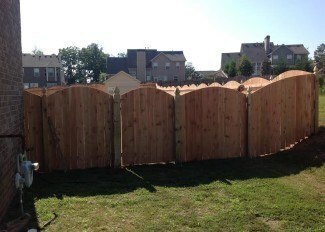 "Great experience, Mike Thomas is the man when it comes to wooden privacy fence. He tore down my old fence and put up our new fence and hauled off all our old stuff in a day and a half. Quality is very good, cleaned up the mess very well and price was very reasonable. 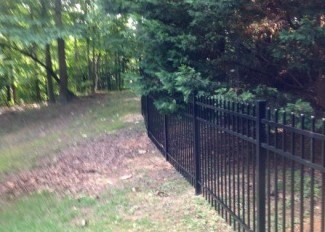 You will not find a better fence company! So if you are in the market, I would definitely recommend Mike ThomasHappy customers in Snellville, Ga."
"Mike and his crew are top notch. He came and quoted out the job lower than the others and within days his crew came out and put together a real good quality, nice looking fence. They did everything that they told me they would do and it doesn't get any better than that. Nice to get what you're actually told you're going to get these days.I'd recommend Better Decks & Fences in a heart beat. " "My fence was completed on 8/19/15. Mike was awesome and super laid back. Very professional team. They were on time and finished the job in the time he said they would. I am VERY pleased and would recommend Better Decks & Fences to anyone that has a project coming up. I also can't forget Bonnie :-) she was also very professional and got started right away. You guys have a great TEAM...THANK YOU everyone." "Fence is beautiful!. They were very efficient and got the project done in 2 days. 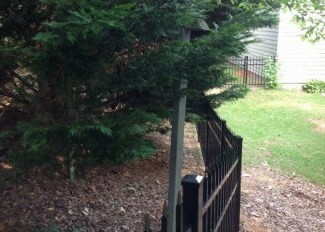 Very happy with our fence and the service we received. Would recommend." "Mike & his team area fantastic!! Best quote in town & speedy installation. We love our new fence!!! Highly recommend to anyone!" "WOW! Fast and friendly service. I would absolutely recommend to anyone who is in need of a fence. " "They did a wonderful job. They we're in and out before offer them a drink of water. The over-all quality of the work performed was superb. I recommend Better Decks and Fences to everyone I know and meet. If you are reviewing this statement then don't hesitate because I don't think you'll find anyone better than these guys. " "Mike and his crew were great! Fast and efficient. My neighbors were amazed the job was done in one day, taking down the old fence and putting up the new fence. The guys were polite and friendly and left a clean job site. The guys who picked up the old fence were also friendly and neat. Positive experience!" "I cannot recommend Mike and his crew enough. They truly are head and shoulders above their peers when it comes to fences. Mike recently installed a fence at my wife and I's new home. He came out for the initial consultation on time, was very cordial, even gave my wife and I some ideas on how best to situate the fence on our property. His estimate was more than fair and we setup the install date. Mike was great about communicating with us about when the work would start, and where we were in the process. Once the install date arrived Mike showed up right on time, he went over the plan and walked the property with me and he and his crew jumped at it. 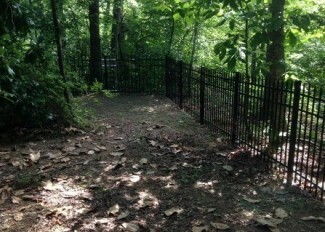 They even finished the fence in 1 day instead of the quoted 2. I am sincerely pleased with the look of the fence, the sturdiness and overall quality of it. The craftsmanship demonstrated is very hard to find these days. The pickets are laser straight, the posts are rock solid and the gates are even and sturdy. Even when I called Mike with a concern, he showed up and fixed it with blistering speed.Thanks for an awesome job Mike. Your crew and you do exceedingly professional work. I cannot thank you enough. "